There’s a little Irish band called Villagers, well actually it’s just one guy. 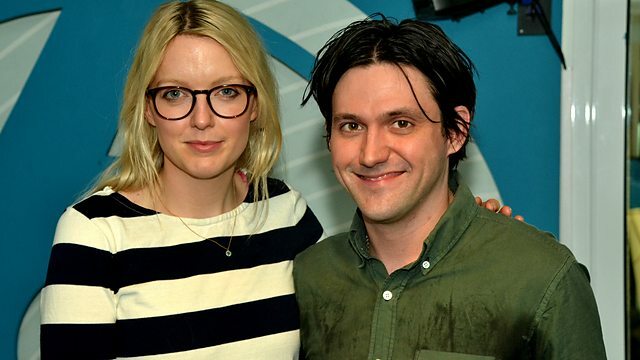 An incredibly talented young man I saw a few years ago on TV looking like the new Conor Oberst, now somehow he’s got older, greying hair, but his music is still poetic, emotional and he sings like the falling snow – crisp, clear, illuminating fears and time itself. The other album I’m listening to is, of course, the new Sun Kil Moon. It’s very loud. He shouts a lot and swears a great deal. He sings about his day, and hanging out with his girlfriend, watching boxing matches and things like that. I think it’s amazing, but I know it won’t be for everyone. Mark won’t let any of this stuff go up on youtube, but you can listen to a song here from his website. Finally I must write I’m half way through reading Owen Jones “The Establishment and how they get away with it”. It’s such vital important reading even if, like me, you already assumed the government and big business are far too cozy. Some of the facts and interviews in the book are really inspiring. The book shows how important it is we vote in elections, we get involved in things we believe in, and stand up for our diplomatic rights and to be critical independent thinkers. It shows how can power can, but doesn’t have to, lead to absolute corruption. Last of all, news about a film being made about a young JD Salinger excites me! What happened to those new books of his that were promised in 2015? I was worried I’d miss something important by being away from the internet, but hurrah for the newspapers and radio which keeps me up to date on all that really matters. So on Wednesday morning, instead of scrolling through Facebook pages and looking at pictures of somebody’s home made cookies or new dog, I was listening to the radio whilst cooking my kids dinner, and who should come on for an interview? None other than Mr. Emo himself Conor Oberst! I don’t know about you, but I had almost given up on Conor. Back in the late 90’s he’d released some amazing lo-fi self confessional angsty bittersweet songs on tape (commander venus) and later cd (every day and every night), and then the first part of the 21st century he’d put out some pretty interesting music like this one which still remains one of my all time favorite songs, but then it got kind of quiet. I was worried he might turn into Ben Lee, an Australian guy who hit his musical and creative peak at the age of 15 with Noise Addict back in the early 90’s, and after getting signed to Thurston Moore’s and then Mike D’s record labels went sadly rapidly downhill ever since. Last I heard that guy was talking gibberish about the joys of psychedelic drugs that get him high in the Amazon rainforest or something. Whatever works for you, man, but that’s not quite my scene. So, it was encouraging to see that Conor Oberst did still put out some good songs now and again, especially with the band Desaparecidos, a socialist left wing punk band, who really are quite spectacular, but his last couple of proper “solo” or Bright Eyes stuff has been pretty mixed. Then he played a couple of songs on this radio show the other day, one was so sweet it almost made the DJ cry, and once again I’m excited all again over this kid, or rather man now , and what he’s got to say. The interview was pure and real, and made me believe in the romance and mystery of life and music all over again. You can check it out here where it’s up until the end of April. On 20th May his new album “Upstairs Down Mountain” is out. I think if those two songs are anything to by, it could be a contender for record of the year, whoo! whoo!